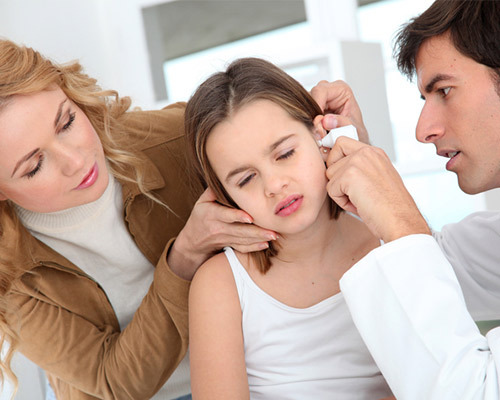 Ear infections are quite common in young children and are not always simply infections. Occasionally the nerve and/ or blood supply to the middle ear is disturbed by spinal misalignment, called subluxations. In this case, the ear’s natural drainage may be affected, leading to a build-up of pressure, pain, and perhaps infection. It simply makes sense to choose the most conservative and natural care first before resorting to drugs and surgery for ear infections. Chiropractors adjust the spine in an effort to eliminate nerve interference so that the tissues of the ear may return to normal function. Consult your Doctor of Chiropractic to see if spinal adjustments can alleviate the potential cause of your child’s ear problems.